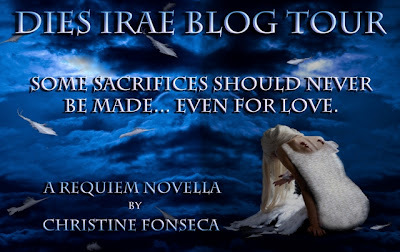 Happy book birthday to the novella Dies Irae by Christine Fonseca! 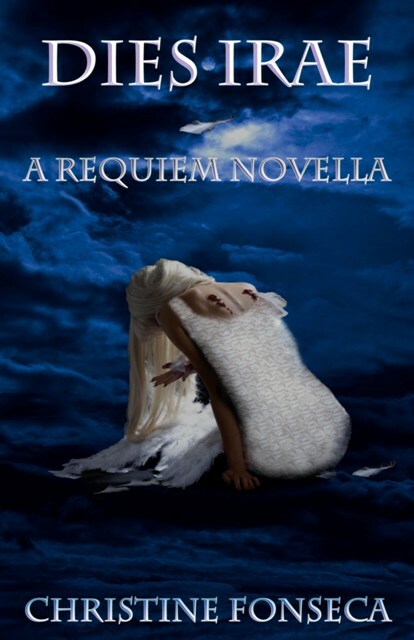 It is a young adult tale about angels that is fresh and exciting and will turn the entire angel trend on it's head (in my humble opinion ;). Believe me, you haven't read anything like it. I had the chance to catch Christine for a short interview that will give you a bit more insight. To win a copy (eBook) leave a comment on this post! The winner will be announced on February 8th. Christine: DIES IRAE was inspired by a story told in the first novel in the series, LACRIMOSA (releasing in March) about the history between two characters, Mikayel and Azzaziel. The story was a pivatol moment in the relationship between the characters. So, when the opportunity came to tell THAT story, I couldn’t wait to jump at it. And WOW, what an amazing experience it has been. So profound for me as the author. It gave me an insight into both Mikayel and Azza beyond anything I expected. That's what I love about novellas. We get to see a side of a story we wouldn't normally see. So out with it, who was your favorite character to write? Christine: This is such a hard question for me because I loved getting to know both Azza and Mikayel. Azza was certainly the most suprising. But Mikayel, I love Mikayel—his confusion, frustration. All of it. Most of all, though, I loved crafting the relationship between them. That was the most fun, I think. Clever answer. I have a lot of writers that follow here. Can you tell us what one, golden piece of advice would you give to other writers who are struggling to make it? Christine: Great question! I would have to say “STAY OPEN”. Stay open to new ideas, new paths, new journeys. You never really know which doors will open and when. Life has an interesting way of turning out. But, if you stay open…just open…you will be able to see whatever door is opening up to you. And more, you will be willing to walk through it. Beautiful advice Christine, thank you. And thank you for sharing a bit about Dies Irae with us. Dies Irae is available in eBook format everywhere books are sold. Here are the Amazon and Barnes and Noble links. Enjoy! To follow the rest of the tour click here. Love her advice about to stay open. It's something to embrace as a writer. I'm enjoying it so far...part of me wants to draw it out longer, so I don't have to wait as long for "Lacrimosa"! The cover art is beautiful, by the way! Yay!!!!! So excited. Great post, Christine! Just bought my copy. Can't wait to read it! AHH!!!! YAY! I can not wait to hear your thoughts. WOOT! I didn't realize that angels were a trend, and now I see it everywhere - in my opinion trends are a good thing for writers - it opens doors to readers that might not have given the topic a second look.